When people decide to start working out and getting fit, they don’t instantly jump in the water. Before picking up the weights or going for a run, one should consider what water workouts have to offer. Swimming can be quite exhausting for beginners as well as for long-term swimmers. There are truly a lot of benefits of this type of workout. It is a great cardiovascular exercise, and it activates the entire body – legs, arms, glutes and core muscles – belly and back. It’s a gentle and injury-free way to work due to its low impact nature. Also, it’s a perfect choice for anyone with bad knees or history of injuries. It doesn’t require any fancy, expensive equipment – all you really need is a swimsuit, goggles and maybe a cap. For someone wanting to workout but isn’t excited about sweating, again swimming is advised. The water keeps the body cool, but the heart and muscles get a proper workout. You can easily make it a social event by bringing a friend or your family. Kids love nothing more than some splashing in the pool. 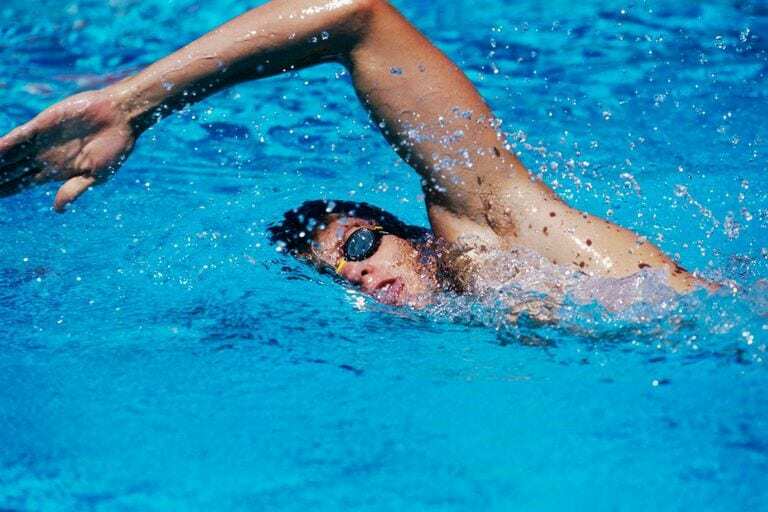 Swimming intervals are a very effective way to get in shape. Depending on how long a person has been swimming before, the intervals can take from 50 – 100 meters of fast swimming, and a break of around 20 to 60 seconds. While swimming, the body stays in a horizontal position which is beneficial for the heart, and the heart rate won’t be as high as it would be after running on land. Also, there is no need for longer breaks since there isn’t that much strain on the joints. Learning swimming and breathing techniques properly can help with relaxing in water and getting the most from the workout. Swimming consistently is crucial for achieving the best results. 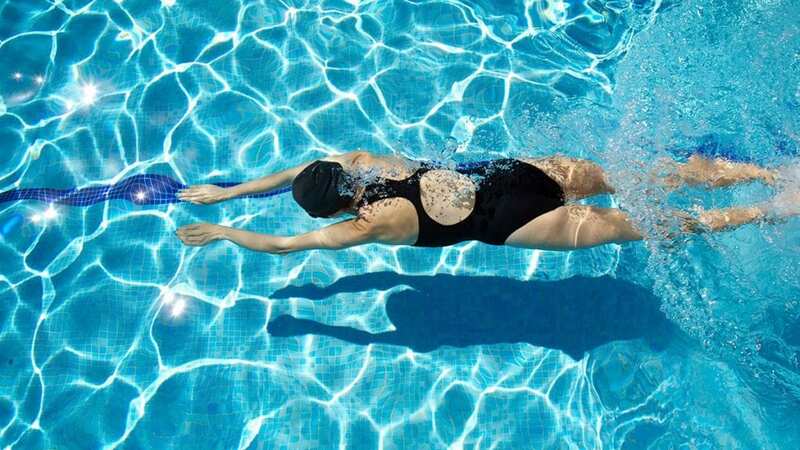 For beginners, swimming without breaks for around 20 – 30 minutes per workout could be the best choice. There are many fitness plans that can be found online to get you started, but it’s still advisable to get a couple of lessons first in order to ensure you develop a proper and efficient technique. Stand-up paddle boarding is an ancient form of surfing and is way easier to learn than regular surfing. Next to being affordable, it can also be done wherever- lakes, rivers or sea. It is a great way to burn calories since it requires around 300 calories per hour. The balancing on the board and the paddling make sure you use the entire body. Again, many advice can be found online regarding this activity and on how to choose paddle board for a beginner. Kayaking is another fun water activity that provides a good upper-body workout, exercises the arms, shoulders, core muscles and legs. Depending on your level of enthusiasm and experience, you can consider kayaking down a turbulent river, or rather a lake or sea. Kayaking is often performed in beautiful nature so it’s a stress reliever. Whatever your choice may be, it’s good to remember what all the water sports have in common – amazing calorie burns, no stress on the joints and anyone can do it.